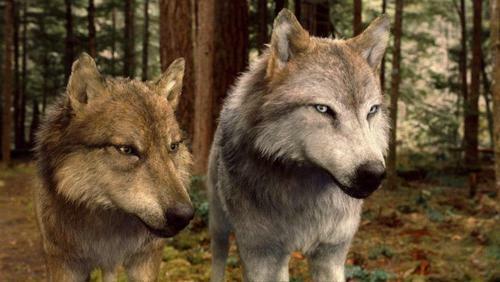 Seth and Leah in serigala, wolf form,BD 2. . Wallpaper and background images in the Siri-siri Twilight club. This Siri-siri Twilight photo might contain serigala kayu, serigala kelabu, canis lupus, and kayu serigala.